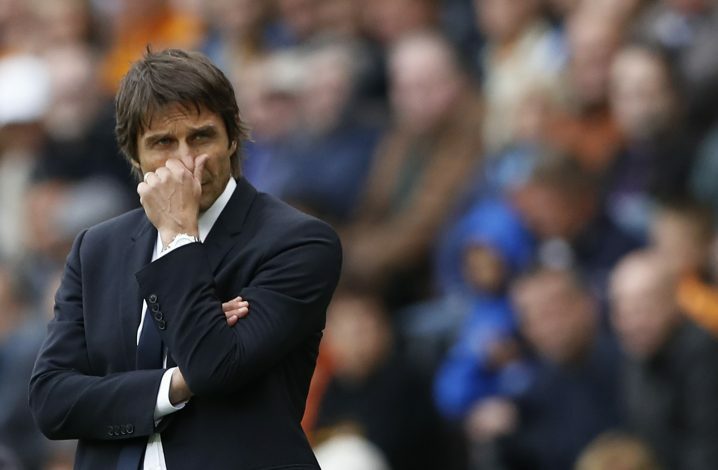 Chelsea are sitting comfortably at the top of the Premier League at present, and Antonio Conte is finding it more and more difficult to ignore the ongoing talks of a title challenge. 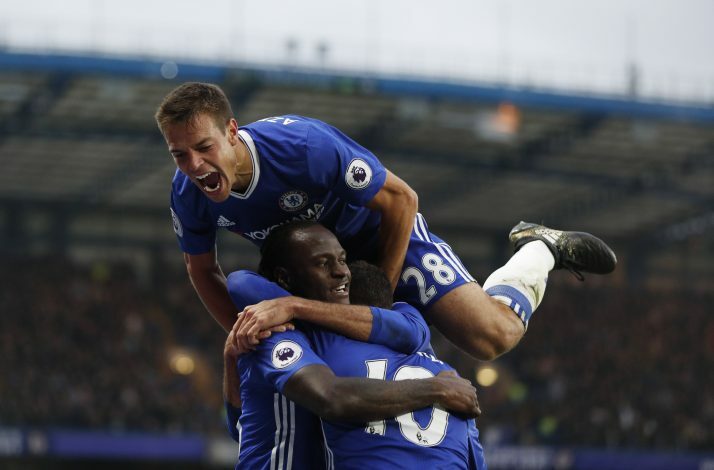 Saturday’s 3-1 win against a dangerous Manchester City side at the Etihad lifted Chelsea three points ahead of their nearest challengers Arsenal, as well as extended their winning streak in the Premier League to eight games. But if we look at the recent history, it reinforces the Blues’ title credentials even before the weekend. Apparently four of the last six Premier League champions led the table on 1st December, as Conte’s boys did (last term Leicester City were second to City only on goal difference), and here comes the most interesting point: Chelsea have been sitting top going into the festive period in each of their four title-winning campaigns. All of the league leaders as mentioned above were able to hold on to the top spot even on January 1, which means a good run in December will definitely go a long way towards confirming Chelsea’s status as Premier League title favourites. Conte is well aware of that, which is why he is reluctant to make any comment on his team’s chances until the New Year. Luck in also with the Blues, as their five remaining games in December look a bit favourable: three matches against West Brom (Home), Sunderland (Away) and Crystal Palace (Away) are rounded off by two home fixtures against Bournemouth and Stoke City. They will not be up against the top-six boys until January 4, when Tottenham will be desperate to unleash a revenge at White Hart Lane. Three of those five fixtures are at home, and the remaining two away trips will have the lowest-ranked sides on Chelsea’s festive schedule: Sunderland (18th) and Crystal Palace (13th). The average league position of Chelsea’s five December oppositions is almost 11.4; which is not at all intimidating to a club marching on such a devastating form. Considering Chelsea’s explosive start and good physical condition, picking up 15 points from a possible 15 is not inconceivable, though it is not likely to happen. Stats from the past say the only time Chelsea won all six of their December games was way back in the 2005-06 season, when Jose Mourinho’s defending champions started the new campaign like a runaway train. A smooth festive run even extended the Blues’ lead over Manchester United from 10 to 11 points, and a second consecutive title was almost a done deal by the end of January. If you remember, in that season, the challenging level of Chelsea’s December fixtures was almost identical to the one Conte’s men now have to face (their six opponents boasting an average league position of 11.1), although Chelsea’s winning run did include a superb 2-0 win over a struggling Arsenal team at the Emirates Stadium. But Premier League is not played on paper, and, as Antonio Conte will be very well aware, Chelsea don’t have the luxury of being complacent. As a matter of fact, the easiest festive schedule that any title-winning Blues side has come across was in the 2009-10 season. Carlo Ancelotti’s dominant batch of players was five points clear at the top heading into a December campaign. Then they were against no team higher than seventh (though that was Manchester City) and two of Premier League’s bottom three, with their six opponents came with an average league position of 12.8. Theoretically, it seemed a cakewalk for a team which had spearheaded the Premier League from August to November. But in reality, it was not that easy. A 2-1 shock defeat away to City destroyed Chelsea’s momentum, and subsequent draws against Everton, West Ham and Birmingham City eventually reduced their lead to only two points by the end of the year. But seven victories from their final eight Premier League fixtures, including a 2-1 win against arch rivals United at Old Trafford, helped Ancelotti’s men clinch the champions’ crown nonetheless in May. However, that Chelsea team remained the only side since United in 2000-01 to win the league title despite winning fewer than 60 per cent of their fixtures in December. It would be an agonising fact if complacency becomes an issue for this Chelsea team; the disgrace of last season is still a fresh wound in their collective memory, and that’s why Antonio Conte repeatedly stresses the need for concentration in each and every news conference of his. Conte insists he will not start to evaluate Chelsea’s title chances until he has negotiated the extremely busy Christmas schedule, but the Italian is keen to praise the latest series of convincing Chelsea performances. Freshness should not be an issue also. Not only have Conte’s boys emerged among the fittest in the Premier League after going through a preseason of bone-crushing double training sessions, but Chelsea have also had to play fewer matches from August to December 1 (16) this term than in any other campaign during the Roman Abramovich era. Anywhere you look, there are plenty of reasons for Antonio Conte to remain positive heading into a crucial stage of December. The Italian boss is consistently proving just how good a coach he is with the 3-4-3 transformation. He is actually debunking the myth that Italian coaches are always defensive. Turning Victor Moses into a wing back is turning out to be a genius move, and Belgium international Eden Hazard is playing with the much-needed freedom he lacked last season under Jose Mourinho. The impressive victory against Manchester City has gifted Chelsea a huge opportunity to open up a decent lead over their title rivals. 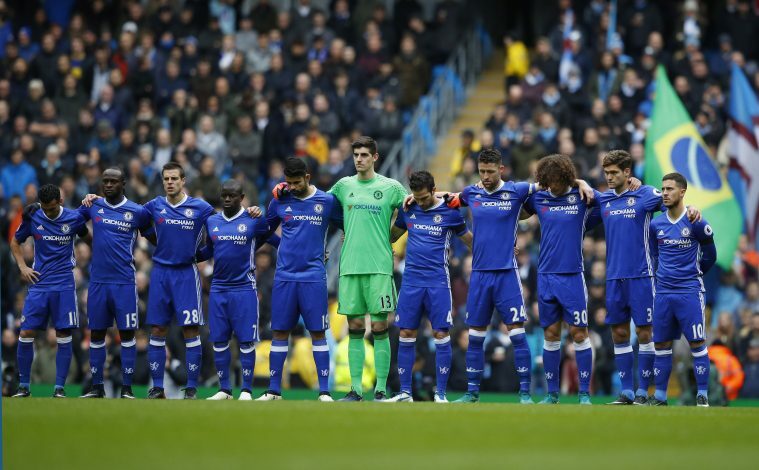 If Chelsea want to be champions once more, history indicates they are bound to take it, no other choice left.